Instagram announced this week that it would soon open its feed to any and all advertisers. But longtime users of the service know that brands have long had a presence there, doing their best to fit in among the selfies, celebs and baby pictures. As the floodgates open, here’s a look back at some of the best branded uses of Instagram so far. 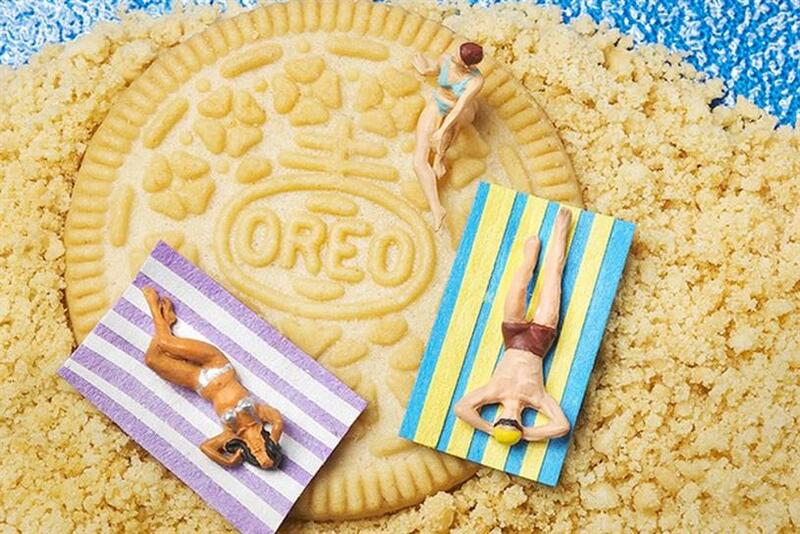 Oreo embraced the visual nature of Instagram with a series of photos using cookies as landscapes for miniature slice-of-life scenes, complete with pun-tastic titles (e.g., "Don’t forget the suns-crème" for a pair of tiny sunbathers). The series of posts collectively drew hundreds of thousands of likes and a good bit of media coverage. The clothing retailer recalls its 1960s roots with a snap of a rainbow color peace sign, illustrating the brand's pledge for LGBT equality (and the growing affection consumers have for brands that take a moral stand). The gesture received over 24,000 likes by the Instagram community. The hashtag #LetsDoMore is a nod to the website letsdomore.com, created by the company to provide information on what Gap, its affliated companies and others are doing to promote equality and sustainability. Standing up for #equality since 1969. #LetsDoMore Read about @GapInc's mission to keep doors open for everyone through the link in the profile. At its heart, Instagram is a tool for broadcasting behind-the-scenes moments from our everyday lives (heavily glossed and edited though they may be). GoPro embraced that approach with this dramatic picture showing underwater photographers in Hawaii using the versatile cameras to shoot a surfer in action. The result: A whopping 340,000 likes. Photo of the Day! Surf photographers at work on the North Shore of Oahu. Surfer: @billykemper. Photo by @sf_photos_hawaii. #GoPro #GoProSurf #Surf Captured using a HERO3+ Black in 30/2 photo burst mode with a Knekt dome accessory. Share your surf photos with us by clicking the link in our profile. Instagram’s young, tech-savvy audience doesn’t always react well to overt marketing (See: the backlash to some of McDonald’s early ads). But Instagrammers went nuts for this picturesque Levi’s post showing three young friends sitting on a cliff, gazing on a rocky coast, wearing denim that we’ll have to assume is Levis. Burberry’s social media game is always strong—most of its posts attract about 50k likes. Using Instagram to unveil a collaboration between the world’s two most famous models—Kate Moss and Cara Delevingne—shot by one of the world's most famous fashion photographers, Mario Testino, for its fragrance, rather than opting for traditional channels or even Facebook where its following is larger, is testament to the platform’s creative draw for brands. The result was social media dynamite: a mesmerizingly beautiful image, which is presumably #nofilter. On a network bursting with baby photos, engagement rings and childhood snapshots (#TBT!! ), is it any wonder that emotion goes over big? On his 21st wedding anniversary, Barack Obama (or whoever manages his feed) Instagrammed a charming black-and-white wedding photo of himself and his bride, simply titled "You and I," with the hashtag #21years. Result: 235,000 likes and nearly 14,000 comments. Much like its furniture, Ikea unpacked Instagram and built it out, in its attempts to create the first website on the social platform. In Russia, the retailer posted a series of images that formed an Instagram version of its famous catalog. While engagement wasn’t particularly high, the campaign shows that brands are willing to experiment on Instagram, especially if it grabs headlines. 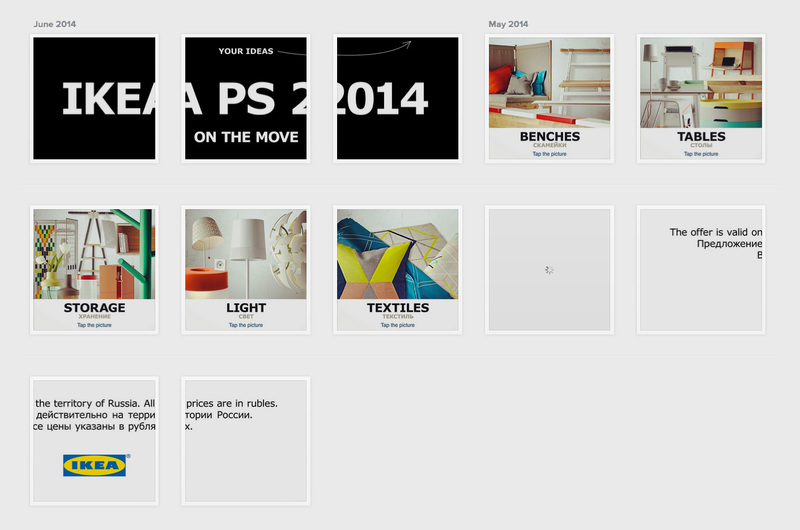 Next stage for Ikea will be to create a virtual Instagram experience involving those wooden pencils. With social media tools opening up Fashion Week to the masses, designer Giles Deacon used Instagram video to bring the world a behind-the-scenes and FROW experience, sending a model down the catwalk with a camera to create a series of six 15-second selfie videos. And who better to do this? The High Priestess of Insta, Cara Delevingne, of course, with her 13 million followers in tow. When it comes to soccer, Real Madrid C.F. 's Cristiano Ronaldo is a legend, having scored a world record 50 goals in 5 seasons. Nike handcrafted these kicks specifically for the footballer, inscribed with the athlete's CR7 (his initials and shirt number) fashion label. The photo of the one-off shoes received over 324,0000 likes. Not bad for a product that only Ronaldo is likely to get his hands on. Today, the world talks. Tomorrow, he works even harder. Meet the #Mercurial CR7 Rare Gold, hand crafted exclusively for @Cristiano, inspired by his incredible year.